Pacheco, 67, had recently been accused of sexual abuse. 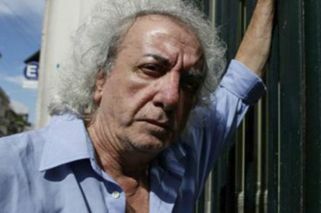 The body of the Argentine theatre director Omar Pacheco was found dead on Sunday after he committed suicide. Pacheco, 67, had recently been accused of sexual abuse. An employee of his La Otra Orilla theatre house found his body on Sunday evening after he was reported missing the previous day, police reported. His cause of death was "mechanical asphyxia", but the prosecutor of the case is refusing to rule out a possible instigated suicide. The theatre director, known for his work in Buenos Aires' rich underground scene, was accused as being "violent, manipulating and abusive" to women. "We are women members of the Unstable Threate Group at La Otra Orilla, created and directed by theatre director Omar Pacheco. We have been part of this group for more than five year, in which we have suffered all types of gender-based violence including the abuse and systematic manipulation on the part the man who was our teacher and director", a statement published by twitter user Mariana Pizarro read.